If, like me, you’ve enjoyed Carlo Rovelli’s new book ‘The Order of Time’ you’ll know that our perception of time is an illusion and past, present and future are both interchangeable and fundamentally unknowable. However, if I was to use that excuse, at Programme Board, to explain why the programme had just hit an iceberg I suspect I’d get short shrift followed by an invitation to vacate the premises. And yet, as a PMO Manager, people look to me to predict the future or – more precisely – to present an analysis of the information available to me that helps senior stakeholders make a decision that will improve the programme’s future state. I find this challenge endlessly fascinating and, given I’m regularly asked about it, thought I’d share our thoughts on how a good PMO goes about polishing its crystal ball. Analysing – doing something to the data that adds value to it. Accurate information about a programme’s past state – creating the information flow process, tools and assurance activity to capture that accurate view of the past state. To allow the presentation of future scenarios to aid decision making – creating a dashboard or reporting format that easily supports a rapid understanding of the possible scenarios and the decisions that need to be taken through either the formal or informal governance. For each information source understand what, where, how often and, most importantly, why – ask yourself why this information is needed and for what purpose. A clear information map showing the flow of information and the processes, tools and templates that will be used to gather it are critical both for building the information flow and for the training and stakeholder engagement that will be needed. 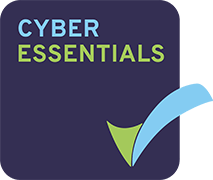 A key role of the PMO is assurance of that information to ensure it is complete, compliant, consistent and gives 100% coverage which all adds up to the information being correct. Keep track of the quality and consistency of reporting from the programme – it helps identify problem areas and show improvement in reporting maturity over time. Heuristic analysis – which is short-hand for using true subject matter experts (SMEs) to review the data and identifying areas of concern. In practice, this is why the PMO and project manager with years of experience is so valuable – their brains are trained to look for patterns in the data (without even being aware of it) that points to trouble. Never underestimate the power of giving properly refined data to experts and letting them draw conclusions from it. Remember, no matter how clever the technique it is only useful if the data it is based on can hold the weight of the analysis, and if it can be presented in a way that supports decision making. Track – tracking information is looking at historic information that says where we have been. For instance milestones completed, resource utilised or cost spent. Target – target information identifies what the current view of success is for the programme. A specific milestone on a specific date, a specific number of points delivered to a specific cost parameter, a specific customer satisfaction score by a specific programme stage etc. 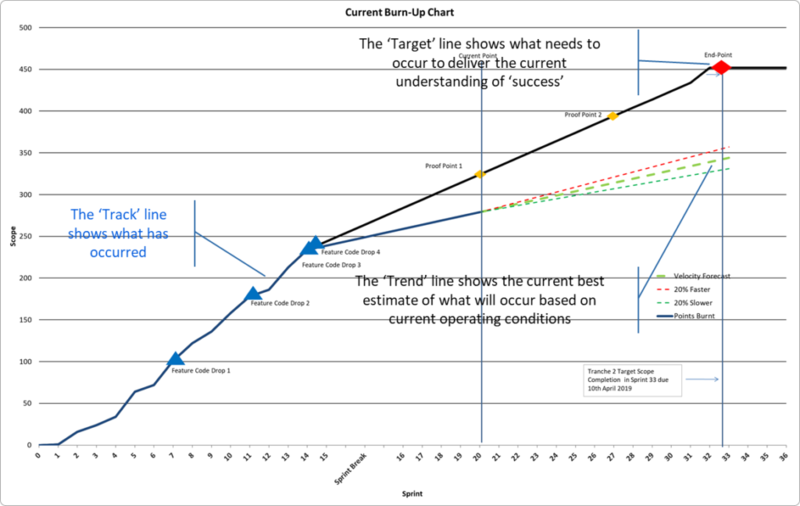 Trend – trending information shows the current best estimate of what is likely to happen, against a specific information stream, if the programme continues to current expectations and assumptions. How better to align the ‘trend’ with the ‘target’? Is the ‘target’ in the right place? Ultimately all risks can be seen in light of their impact on the ‘trend’ line – i.e. if this risk materialises, the trend line will be shifted down by X amount. If we don’t mitigate issue Y, then the trend will come in 100 points under the target. These are the options to pull back on target. And all decisions about ‘target’ reflect the wider programme’s stakeholder community saying what ‘good’ looks like for the change. Obviously the above only scratches the surface of the many approaches to supporting your programme with predictive reporting and there are as many answers as there are programmes with specific and unique needs. The most critical thing to remember, of course, is that prediction is, by definition, an uncertain act. It needs elements of both art/experience and science/statistics – it is, therefore, a craft in the very truest sense and like all crafts, constant practice and monitoring one’s own performance to ensure improvement over time is the key. P2 Consulting is a market leading project & programme management consultancy. We work in partnership with our clients to turn their business ambitions into reality, bringing a unique blend of leading-edge thinking and hands-on delivery. We bring the drive, the passion and the courage to act leaving your business stronger, fitter and more profitable for having worked with us. P2 Consulting was formed by a revolutionary team of entrepreneurial leaders and award winning consultants. Since our creation, our passion for delivering business success for our clients has shaped our vision, our company and every member of our P2 Consulting team. We are proud to have delivered some of the largest and most successful programmes in corporate history. Is DFS 504 The Next Regulatory Trojan Horse? P2 Consulting outlines some of the challenges of Brexit and what you should consider when developing a scenario response plan for your business. Read more here.